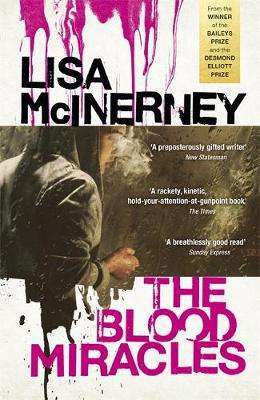 The second novel from the author of the Baileys Prize-winning The Glorious Heresies'Fast paced, compelling, and thrilling, Lisa McInerney writes the type of fiction that is both beautifully crafted and immensely enjoyable' Louise O'Neill'The Blood Miracles has all the brio, street smarts and vicious linguistic verve of The Glorious Heresies, but with this follow up Lisa McInerney also reminds us just how brilliantly accomplished and ruthlessly focused a storyteller she is' Colin BarrettLike all twenty-year-olds, Ryan Cusack is trying to get his head around who he is. This is not a good time for his boss to exploit his dual heritage by opening a new black market route from Italy to Ireland. It is certainly not a good time for his adored girlfriend to decide he's irreparably corrupted. And he really wishes he hadn't accidentally caught the eye of an ornery grandmother who fancies herself his saviour. There may be a way clear of the chaos in the business proposals of music promoter Colm and in the attention of the charming, impulsive Natalie. But now that his boss's ambitions have rattled the city, Ryan is about to find out what he's made of, and it might be that chaos is in his blood.